FREE digital photo of recipient sent to your email and a video of recipient in selected locations in Russia and Ukraine. NEXT DAY delivery is ensured with exceptional service and 100% money-back guarantee. 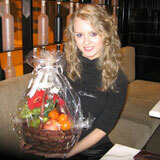 VIP Gift Baskets delivered in Russia, Ukraine, Belarus and all over CIS. 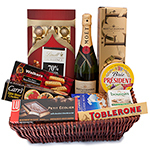 Our Gift Baskets include only the highest quality imported ingredients including Cognac XO, Russian caviar, upscale champagne, imported wines, delicious cheeses, freshest fruits and various business gifts to Russia, Ukraine and CIS countries for serious gift aristocrats. Read what our customers say about our services and see photos of some gift recipients. 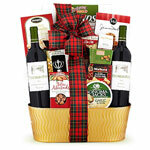 Corporate gifts for your colleagues and business partners in Russia & CIS.